Looking for a timepiece that will actually stand the test of time? 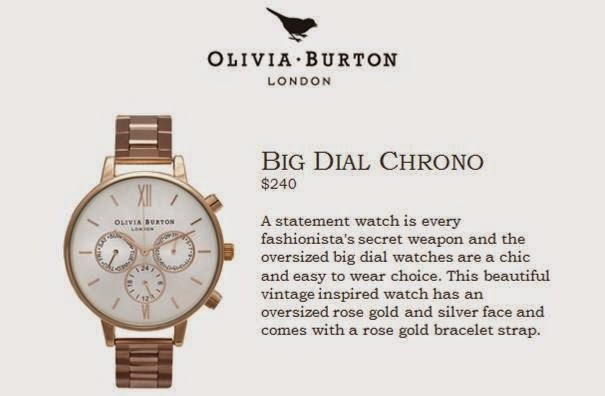 Olivia Burton’s Big Dial Chrono offers a modern twist on a classic design. Learn more about Olivia Burton watches here on Apparel Search and obviously at Olivia Burton website. Learn about Olivia Burton vintage inspired watches here on the Fashion Blog.